Buying new Kelowna appliances for your laundry room is so exciting, you might forget the checklist of things you need to do to make way for your new washer and dryer. Twenty years ago, you probably would have laughed if someone told you that later in life, a new washer and dryer would be the highlight of your month, maybe even your year. And yet it’s true, after humming and hawing and doing all the research on Kelowna appliances websites, you found your match and you just can’t wait for the delivery day. In the midst of all the excitement, there are a few items to consider to make sure the delivery and set up of your new washer and dryer run smoothly. Today, most high efficiency front load washer-dryer pairs are stackable. 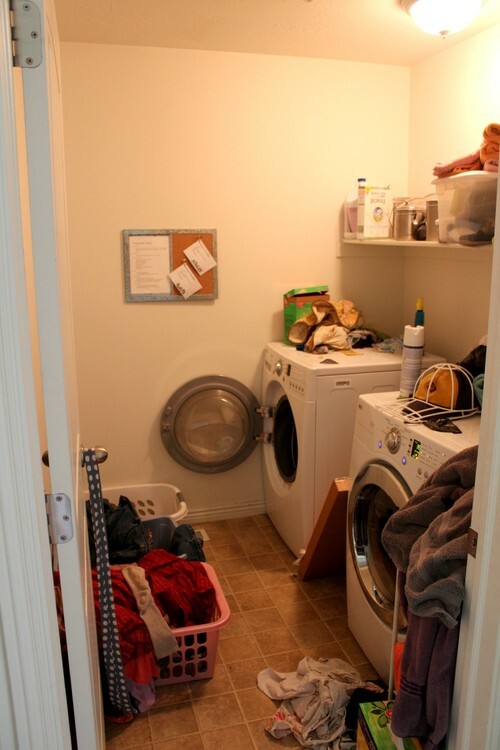 Now, you’re probably used to the layout of your laundry room and having them both on the ground, side by side, but you might want to consider stacking. 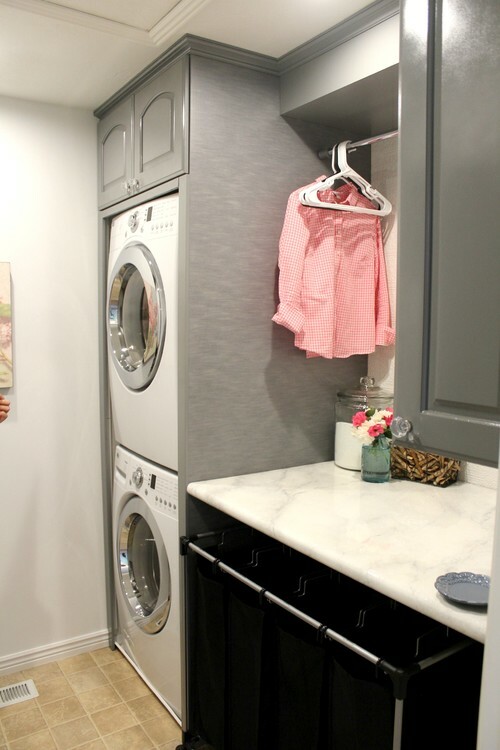 If you have the ceiling height, stacking your dryer above your washer will free up room so you can add a folding bench (or maybe a beer fridge to entice the guys to visit the laundry room every once in awhile). If you do want to go high, make sure that before delivery day you buy or order the stacking kit, which usually runs about $50. If you don’t have the ceiling height to stack or the desire, you might want to consider another accessory—the pedestal, which raises the height of the Kelowna appliances in your laundry room and gives you a bit of added storage. Let’s say you have the good fortune of having a very handy and well-meaning father-in-law who perhaps installed a laundry sink next to your washer, and perhaps, as he used a ‘u’ hose to pipe in the water, he wasn’t too particular about which coloured pipes went into the hot or cold faucets. Before your Kelowna appliances delivery day, double-check to make sure your pipe lines are correct in case the installer simply goes by what’s already there and assumes the pipe with the red line leads from the hot water. If they get it wrong, you could accidentally do a load of expensive cotton sheets with ‘piping’ (and shrinking) hot water instead of cold. When you were in the Kelowna appliances store, your eyes might have been a little glazed with laundry information overload by the time you reached for your credit card. But it was probably at about that stage of your sale that someone mentioned you’d need to have a new dryer vent and washer hoses ready for delivery day. Many delivery reps won’t be able to carry through with the install without them, so make sure you’ve got them on hand. Now that you have your dream washer, help keep mould at bay with tips from our post: Does Your Front Load Washer Smell Musty? When you’re looking for outstanding service and selection before and after you buy your next appliance, turn to Genier’s in Vernon, offering the world’s best brands and more appliances than anywhere in the Interior.